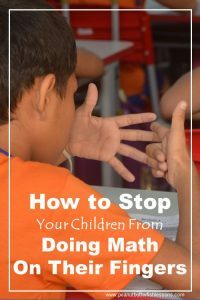 I talked in How to Get Your Children to Stop Doing Math on Their Fingers about the need to build number sense around four number relationships. To review, these relationships are (1) subitizing, (2) one and two more or less, (3) make 5 and 10, and (4) part-part-whole. 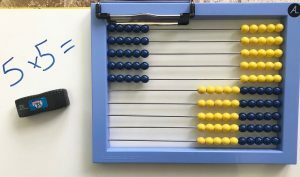 An abacus is a great way to build these skills. I would suggest modeling counting at the level your child is at. So if your child counts to ten by ones then only model that. 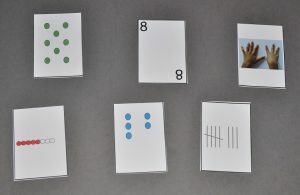 If your child has experience counting by fives to 100, then model that after the initial modeling of counting by ones. 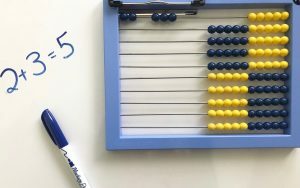 Once you have introduced the abacus, it is time to introduce a number routine that you can use in various ways on a daily basis. A number routine is a simple, structured routine that can be repeated regularly, but with different content as children progress in their skills. This routine is called Show Me and can be used to target three of the four number relationships mentioned above. 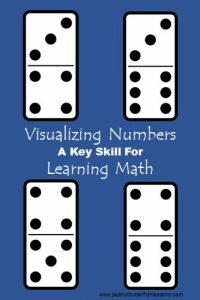 You will start with just numbers 1-5 and simply say “Show me…” and then the number you would like the child to show you. The child then slides the beads over to show that number. The eventual goal with this activity is that she will slide the numbers over as a group and not have to count one by one by one. However, counting is a great place to start. If she seems to get stuck on counting, start to encourage her to use the least number of ‘pushes’ to show you the number. You can model this for her if she does not understand. Once children are easily showing 1-5 by pushing more than one bead over at a time, numbers 6-10 can be targeted in the same way. Again, after your child has practiced several times, encourage the least number of pushes. Then practice 1-10 as a daily math warm-up. 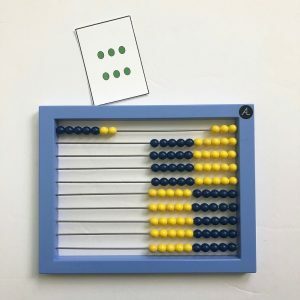 1) Instead of saying a number, you could write a number or show a subitizing card (can download for free here) and your child will enter that number on the abacus. 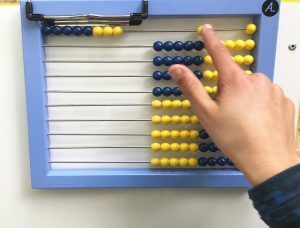 2) I Show You: For this routine, you will enter a number on the abacus in ‘secret’ and then flash it in front of the child for about 2 seconds and then hide it again and he has to tell you the number he saw. Kids love a game with ‘secrets’! Understanding one and two more or less helps children move numbers around to make friendly numbers when adding and subtracting. 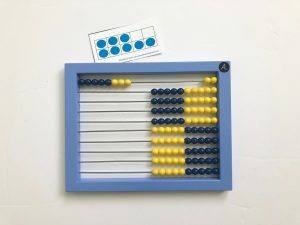 To target this skill with the Show Me routine on the abacus, you will still say, write or show your child a card with a number, but instead of saying “show me….” and then the number, you will say “show me one more than….” or “show me two less than….” and then the number you are showing. 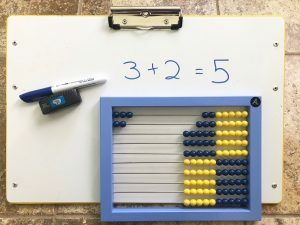 If this is a new concept for your child, then before trying this routine, model this concept on the abacus. Have him enter 1 and then ask him to enter 1 more, then 1 more, etc. Then have him enter 10 and then ask him to take away 1 to show “one less” and continue until all the beads have been moved back to the right. Counting by twos on the abacus and then repeating the above modeling on the abacus entering a number and then 2 more, etc. will build the skills of two more or less. Sometimes have children enter 1 and then move 2 more beads over at a time and other times have them enter 2 and then start moving 2 beads over at a time so they are used to counting odd and even numbers by two. 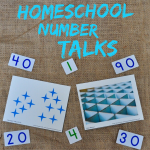 It is important for children to understand that numbers can be broken up into parts. For example, 5 can be broken into 2 and 3. There is a simple way to target this with the Show Me routine on the abacus. You will simply ask the child to show you a number using the methods above, but you will ask her to use the first two rows of the abacus. So, for example, if you asked her to show you 5 on the first two rows, she may push 3 over on the top row and two over on the second row. You could then write the equation 3 +2 = 5 on a whiteboard to show her what she just did. Then ask her if there is another way she can show you 5 using the top two rows and write down the new equation. 1) You can have children show you the tens: 10, 50, 30, 80. 2) Give them double-digit numbers (73, 57, etc.) to enter on the abacus. 3) Have them show you equations such as 2 +3 =. 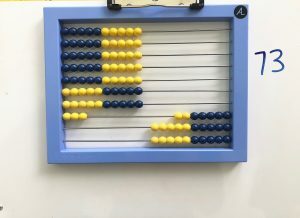 When showing an equation such as this, you would slide the two beads all the way to the left and then the three beads over, but leave a space so they are not touching the first two beads. The child can then tell you how many beads there are all together. 4) Have them show you multiplication equations. For example, 5 x 5 = would be entered as five beads on five rows. 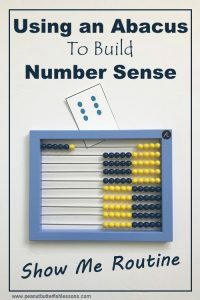 Want to learn more about building number sense? Check out these other posts below and sign-up for our emails so that you will be alerted when new posts are published! Sign-up to learn when the next blog post is published!